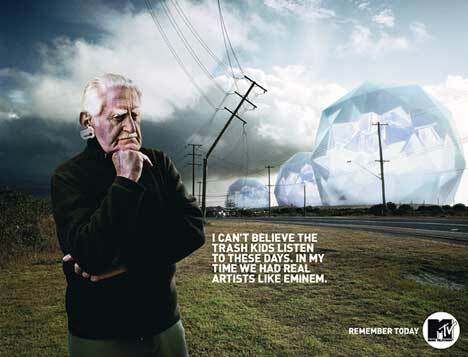 MTV Australia released these humorous print advertisements in 2004, as part of the Remember Today campaign. 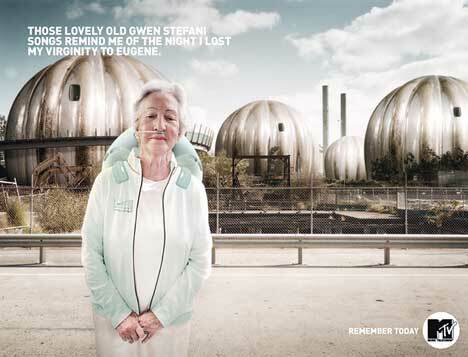 Three print advertisements show fans of Gwen Stefani, Eminem and Snoop Dogg as they might be in the future, reminiscing about the music of the past. 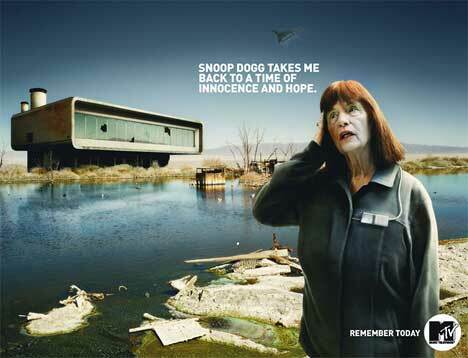 The MTV Remember Today campaign was developed at Lowe Hunt by creative director Adam Lance, copywriter Howard Collinge and art director Dejan Rasic, with photographer Michael Corridore. Retouching and 3D design was done at Electric Art.